By utilizing Thecus Wizard™, users can effortlessly set up their NAS. 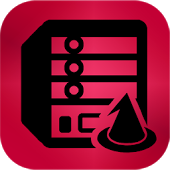 With this set up wizard, users can communicate with their NAS to set up private accounts, auto configure network settings, and build their RAID. Thecus Connect™ is your portable assistance tool for Thecus NAS, providing the power to remotely turn network services On or Off with Basic Controls. If trouble emerges, Smart Alerts will notify the user immediately and send reminders until the issue is resolved. A detailed history of major events is recorded via a log. T-OnTheGo™ is a comprehensive cloud management solution for various file spaces with a smooth UI and excellent performance. This powerful new app allows you to manage files, read documents, view images, and play videos directly from your Thecus® NAS while you’re on the go. 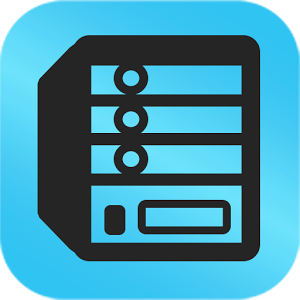 T-OnTheGo™ also allows you to seamlessly manage a WebDAV server on your Thecus® NAS and Android local file system. Before you use a WebDAV connection, first make sure that your ThecusOS is up-to-date. The WebDAV service has been enabled by default on your NAS. Thecus Dashboard allows users to log in to their NAS over a local or remote network and view the status of their NAS as well as control a number of administrative functions from their iOS or Android mobile devices. This includes turning on and off protocols and adjusting user privileges. FTPManager is the app that helps you to directly access your files on remote FTP server from your iOS devices. You could directly read all kinds of files, play movie/music and edit files in your iOS devices. It supports FTP file management with full functions. And for experts, all FTP logs are available for checking issues. In addition to managing local / shared / FTP / and Bluetooth file folders, you can also directly manage a variety of cloud storage service folders such as Dropbox, Amazon, Google Drive and others. There is also support for a variety of file formats that can be directly opened with the browser such as ZIP, PDF, Image and multimedia files among others.